Let me first begin with the advantages of visiting in California. #1. I get to see all of my children and grandchildren and even have a few brief moments of individual time with each of them which I treasure more than they know. Since Cole’s death this past May, I want to have a sense of who these growing grandchildren are and what they are currently up to in their lives, as well as hear how my children are coping with the daily opportunities and challenges of life. I am happy to report that everyone is surviving quite well. Greg and family are last on my visit schedule so I am not quite sure how each of them is doing but from my conversations with them, all is well and everyone is thriving. Leah will be starting a new job with the Yolo County School Administration office on January 6th, a job that is meant for her and SO MUCH closer to her Dixon home. The other members of the Smith Family are doing very well. Tim loves teaching and is such a good teacher. He was able to update me on my Apple iPhone and my Apple laptop without causing loss of data files. Hannah is in the last half of her junior year at Chico State and I am the proud recipient of “Chico State Grandma” coffee cup and T-shirt. Isaiah, a junior at Dixon High, is the owner of a 1999 Chevy truck that boasts a new stereo system and is kept pristine; fit for grandma travel as a passenger. Aaron’s family is constantly active. Aaron is still employed by Horizon/Pool Corp. as a regional warehouse manager. Jennifer continues teaching at East Avenue Middle School in Livermore, coaching girl’s soccer, very active with the family geneology–thankfully someone is taking the time to do this–and pursing art projects. The boys, John and James, are both working and going to school. John is interested in police science, James graduates from high school this year. Jessica is a beautiful high school freshman, already active as a soccer referee for the younger teams. The Bent Family is struggling with recovery after Cole’s untimely death. However, I have to acknowledge the three of them. They are looking much better during the two days I had with them upon my return to CA. Rivka loves working as the administrative assistant for the Head of School at Our Lady of Peace (OLP) a Catholic all girls high school in San Diego, although the trip from San Juan Capistrano to San Diego everyday isn’t much fun. Brian has opened his own eclectic shop, “The Hot Rod Garage Sale”, in San Diego and is doing his custom clothing manufacturing, sculpture, and painting all out of the shop which is so much fun to see. Esther is working as a barrista at Zebra Coffee Shop in San Clemente and playing drums for Brian’s bands. She will start back to college again in 2014 and has been sending all necessary paperwork to Pepperdine, Loma Alta, and UC Santa Barbara. Since she is tri-lingual, I hope she gets the best school that she wants for international marketing. #2. One of the purposes of this trip was to evaluate the need for maintaining health care coverage in the US that is costing a lot versus giving up my MediCare and HMO to obtain health insurance in Nicaragua. I decided to eliminate MediCare at this time. I will, however, keep my Longterm Care insurance active. You can tell, I plan on living at least as long as my Mom and my Aunts–99, 103, and 93–who died within the past two years. #3. I signed papers to sell my West Sacramento home. Yes, the frontyard farm is up for sale. When the WS house sells, I will start building my house on the Guasacate property I have in Nicaragua. Think positive thoughts and prayers that the house sells soon for the price that I want. If I can’t get my price, I won’t sell at this time. Thankfully Leah stores my winter clothes in a suitcase so that I can bundle up when I am in CA. Believe me, I have layers of shirts, flannel lined pants, and long socks on everyday. The news says that CA is having a warm spell now. I’m glad that someone thinks it is warm. I don’t complain that it is too hot in Nicaragua where I live. When there isn’t a breeze, I go to the ocean. Christmas gifts came early for me in 2013. I received my Nicaragua residency (cedula) on December 15th, three days before I flew out of the country. Thanks to my NI attorney, Jaime Hernandez, and his staff, Agnes Lopez Joaquin, who changed my immigration interview date from two days after my scheduled flight to five days before and made sure that all the previously submitted paperwork was in my documents folder. The US could take some notes about immigration processes, although it is not a piece of cake process in Nicaragua either. Bottom line is that I am a grateful resident of Nicaragua and don’t have to leave every 90 days to keep my US passport updated. I do have a scheduled flight back to CA in mid-July 2014. Since my US family is dynamic, I want to see them at least a couple of times a year. Someday, I hope they will see fit to come to my Nicaragua paradise. 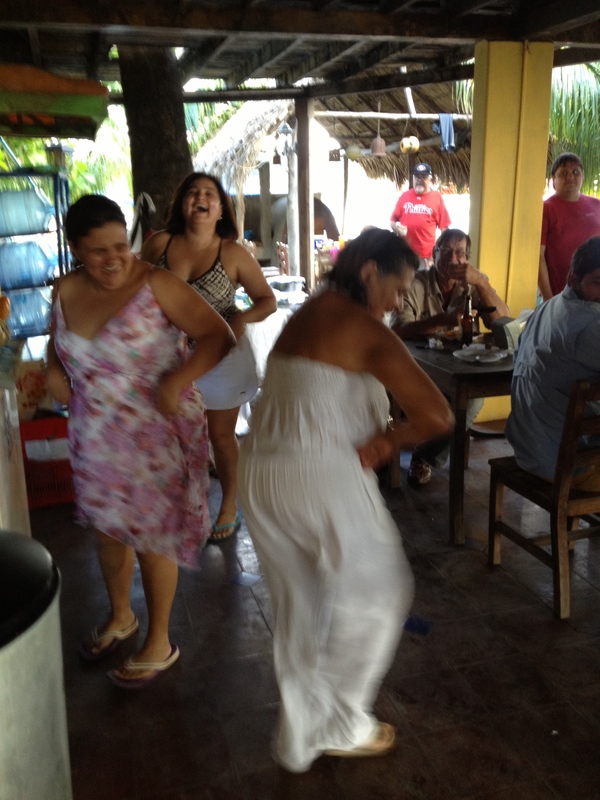 I will be leaving the US on Jan. 18th to fly home and will report the news from my Nica Life in 2014. Happy Holidays and Best Wishes for a Healthy, Prosperous, and Exciting New Year. Why would I want to title a personal blog that could identify my age? Well since I come from a family that has a lot of longevity, one day everyone will find out that I’m not 26 anymore, although this is the answer I still give when asked my age. Let me think, I have been 26 for a long time now. 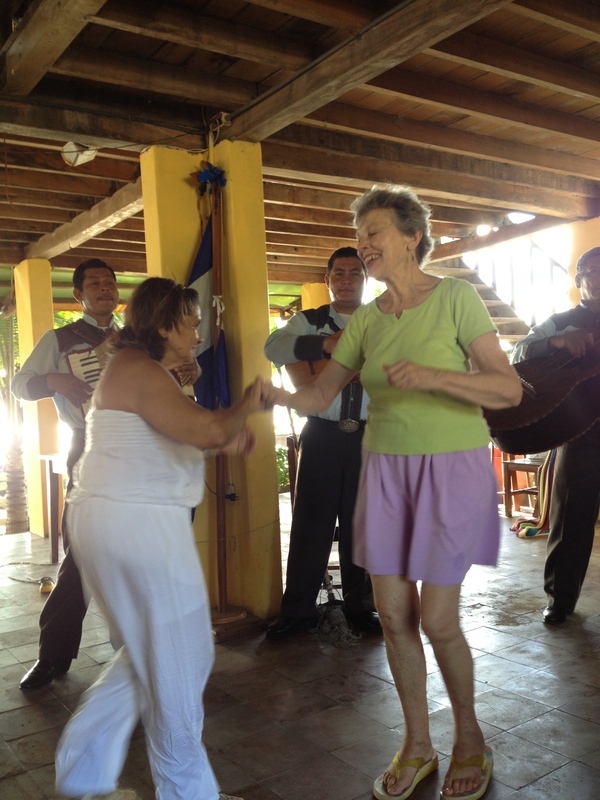 Here in Nicaragua, it is hard to tell someone’s age even to the nearest decade. My friends who live in the cities are aging similar to friends in the US of the same age. However looks can be deceiving. I am eight years older than the patrons of the compound where I live and yet they look a lot older. Looks don’t equate to activity, however. Dońa Carmen and Don Juan are agile hard workers to this day. Don Juan still moves his little herd of cows back and forth across the road in front of the house to the pasture everyday. Today I watched him lasso one of the cows who doesn’t wear a “bad animal” collar to tie her up to a tree in the backyard. OK, a “bad animal” collar is a device made of two or three pieces of wood that are formed into a tied triangle around the animal’s neck to keep them from going through fences. Pigs were the first animals I saw with these collars eight years ago. Now, since there are more cows, they are collared as well. Three of the six Guzmán cows are wearing collars. Sometimes the cow looks like it is actually dragging a tree the collar branch is so long. Dońa Carmen is still the mistress of the pulpería (little store) next door to my house. The family has expanded the pulpería to double the original size from when I first moved here. Although this is where I buy my bottled water and freshly baked bread, I rarely buy eggs, milk or veggies from here because it is more expensive than the tiendas (stores) in Rivas. 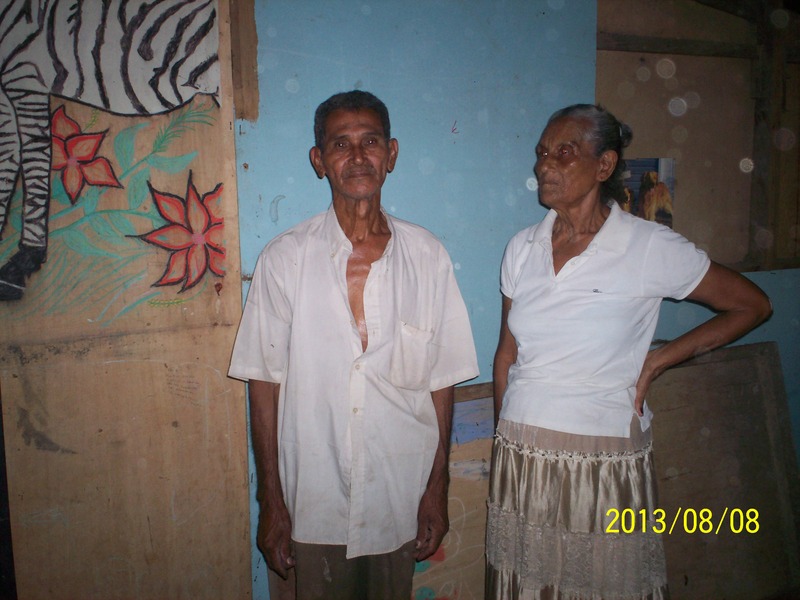 Dońa Carmen and Don Juan are both literate and have forced their children to go to school in their early years. I find it strange that some of their grandchildren are not forced to do the same. Perhaps the difference is that the grandchildren are really latchkey kids whose parents work away from the compound and they don’t actually know if their offspring are going to school or not. School is a whole subject for discussion and debate here as it isn’t the best system in the world, in fact, it may be one of the worst. In the rural areas, the children don’t have books of their own. The school days fluctuate upon the schedule of the teacher, who may be attending a workshop or training, or is sick, or one of her children is sick, or it is raining and she can’t get to her school or a variety of other reasons not to show up at the school. Fortunately for our compound, the school is only about 1000 yds. from here so the kids don’t have far to walk if there is or isn’t school for the day. The title of this blog was prompted by the recent birthday party of my friend whose family was the original owner of Rancho Santana. Angelica Centeno celebrated her 79th birthday at the restaurant that she opened on the beach at the end of the RS property to the north–Villa Jiguiliste. Her children and grandchildren came from far and wide to join the GRAND party with mariachi music, ballet folklorico dancers, and a huge barbeque with tons of food–at the same time catering to the guests of her restaurant and little hospedaje that she runs. Angelica and one of her daughters-in-law were even doing some of the folklorico dances at the side of the costumed dancers. November ended the month of “waiting” for my residency, for inspection of my commercial property for tax evaluation, and for construction bids for the commercial property, and completion of the outside work on the West Sac house with more “waiting”. I celebrated Thanksgiving for a week with turkey dinners at two friends homes early in the week and then the BIG BASH at Rancho Santana where there were dinner seatings at 4, 6 and 8 pm. I chose the 6 pm so I could see my friends at both of the other seatings. All of the events were wonderful and reminded me of the things I am thankful for as I live in my dream that includes “waiting”. My health continues to be very good. My car now has a new trunk mechanism so that I am not tying it shut the back seat headrest to keep it from flying open. The mold in the house is going away since the rains have pretty much ended. (I’m keeping the 14 lbs. of baking soda socks that I made to absorb the moisture for next year.) Now I have to make covers for the kitchen appliances for the polvo (dirt) that comes with the winds. One of my RS friends said I could use her new sewing machine. I simply need to get my body up to her house to work. The Cuidadores de Personas program didn’t have a student in November and no one showed up again today for an advertised class. If there is work for one of the existing six cuidadores and word gets around, I think there will be interest in the program. It takes time to start new programs in any country. Here it is harder with obstacles of the existing culture of caring for your own and travel without transportation. I will be going back to CA mid-December for a month to spend birthdays and holidays with my family and friends there. Right now, I am sort of dreading the trip since I read that the temperature in Sacramento this past weekend was near freezing. I don’t have ski clothes anymore and my blood is used to WARM. I know, I’m beginning to sound like my father and Aunt Hilda who were always cold. If anyone is interested in contributing to a Holiday Party for children of the village of Asentiamento where my nursing student lives, celebrating the day of the Three Kings, January 6th, please contact me. Melvin, the student, organizes food and pińatas for the village kids. He needs only about $150 to purchase food and treats. My Curves friends helped with the event several years ago and it was greatly appreciated. I’m sorry I lost the photos that he shared of the party two years ago. Until an update in 2014, be safe, think peace, and remember Solo el Amor Prevalece–Only Love Prevails.